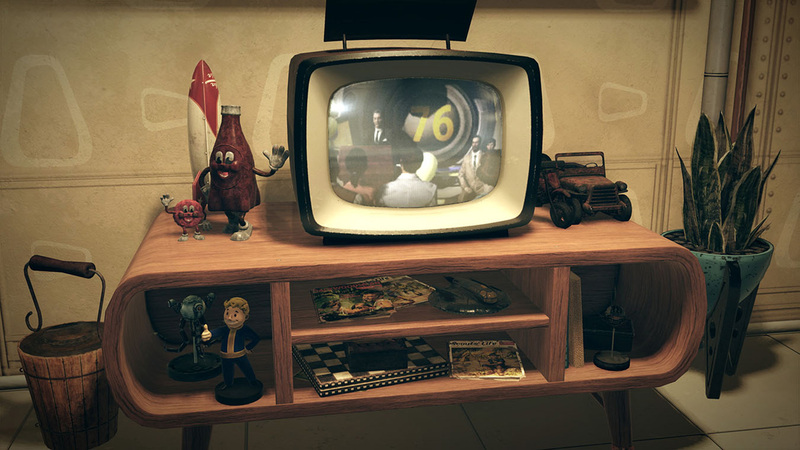 Bethesda Softworks have addressed rumours of their latest title – Fallout 76 – going free to play. The rumour comes following the rumour that Australian game retailer EB Games are recalling copies of Fallout 76 in preparation for the title going free to play. While these were rumours, people began to notice Amazon had a limited supply of copies left in stock, leading internet goers to believe that Bethesda were initiating a distributor recall. Bethesda have now (semi?) confirmed the rumours are false and that their title will be sticking with its price tag. 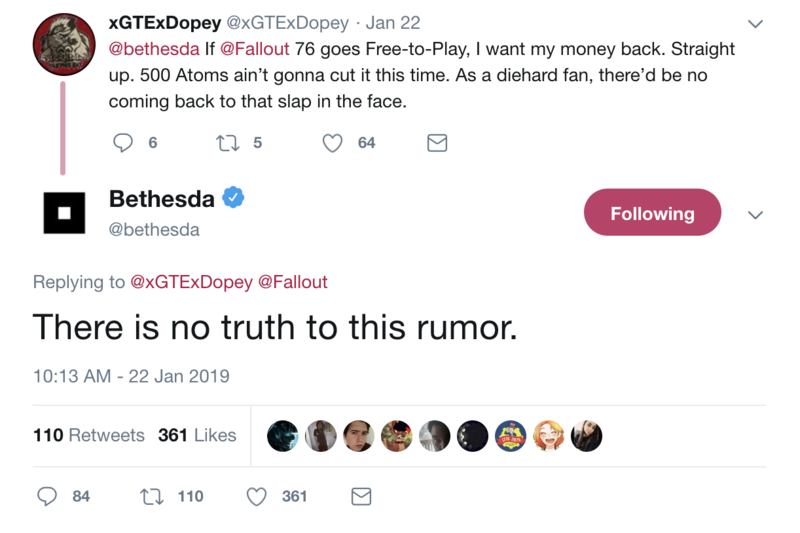 Fallout 76 was released last November to feeble reception. The game was the first in the hugely popular Fallout franchise to feature fully fledged multiplayer and boasted a West Virginian landscape 4 times the size of Fallout 4’s Boston, a build your base anywhere mechanic and global events. Unfortunately, the game didn’t live up to expectations and was poorly received by reviewers and players alike. The game then went on to suffer a wave of controversy, including a host of broken features, a lawsuit threat, baggate and a data security breach that exposed dozens of customer’s private information. All the while, developer Bethesda have been constantly thrashed by the community for their response to these issues. The game has also seen a drastic price reduction, with copies being sold for a mere $9 on some key reselling sites. Fallout 76 is out now on PC, PS4 and Xbox One.